New and improved formula Formulated without parabens or sulfates, this cleanser is gentle enough for daily use, while being active enough to deliver skin brightening benefits to virtually all skin types. The combination of Papaya Enzymes and Salicylic Acid works to slough away dead skin cells. It effectively removes makeup and impurities found on the skin’s surface, reviving dry and aging skin. It stimulates the production of new cells and delivers a brighter, clearer complexion, making this product an ideal addition to any regimen. Benzoyl Peroxide Wash is a therapeutic cleanser with a combination of benzoyl peroxide USP, 10 % with soothing Aloe Vera gel, for the treatment of acne. This mild, brightening scrub with exfoliating micro-beads is specially formulated to gently cleanse and exfoliate by removing dry, dead skin cells, excess oils and residue to reveal healthier, younger looking skin. This cosmetically elegant formula provides antioxidant protective coverage, nourishes, and enhances skin tone and texture, revealing a fresh and pure complexion. This gentle, soap-free cleanser delivers moisturizing and skin softening benefits in a non-drying formula. Suitable for all skin types but specially formulated for sensitive skin. A rich blend of antioxidants assists in the minimizing of free radical-induced skin damage, without causing redness or irritation. This moisture-boosting, decadently rich night cream combats dryness and nourishes dry skin back to optimum health. Featuring a multi-targeted system of high performance ingredients which aid in skin’s hydration and help repair the skin’s barrier function. Ideal for those with dry, normal, combination & sensitive skin types. This one of a kind Green Tea, antioxidant rich, moisturizing lotion is ideal for all skin types and can be applied to the face and body. A custom blend of Green Tea Polyphenols & Caffeine assist in minimizing free-radical skin damage. It’s specially formulated to be fast absorbing and is clinically proven to minimize moisture loss while assisting your skin’s natural barrier function. For dry, cracked or callused areas of the body. This lotion is formulated with 15% Urea and 15% Glycolic Acid to provide intense moisturization and replenishment for severely dry and callused skin. A unique combination of ingredients work to hydrate and soften dry skin, improving the appearance of Keratosis Pilaris (KP), psoriasis, dermatitis, and calluses. This Triple-duty antioxidant formula helps to brighten the complexion, support healthy collagen production and fight free radicals. It’s controlled, time-released delivery system provides maximum penetration and absorption. Soothe, calm and rejuvenate skin with this refreshing mist fortified with a rich blend of antioxidants to brighten dull, tired skin and refine your complexion. Micronutrients help enhance skin tone and neutralize impurities while powerful humectants provide gentle hydration. Ideal for all skin types including sensitive and post procedure care. 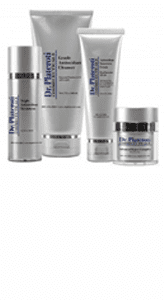 Custom system clinically proven to correct the visible signs of aging. Kit includes morning and night-time regimen for round the-clock support. This Custom Cream features an advanced formula of therapeutic ingredients to improve and correct a wide variety of skin issues. 90% Green Tea Polyphenols along with high concentrations of Reservatrol and Caffeine USP trigger cellular renewal to begin the reparative process from aged and sun-damaged skin. A full refund for all over the counter products will be provided if products are returned within 30 days, and if products are returned unopened and in their original condition. All opened products returned within 30 days from date of original purchase will be subject to a 30% restocking fee. We will not refund any product after 30 days from original date of purchase. 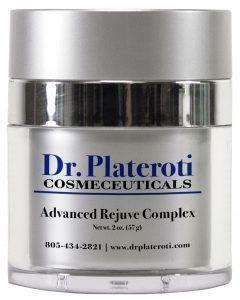 Plateroti Dermatology thanks you for your cooperation and understanding.